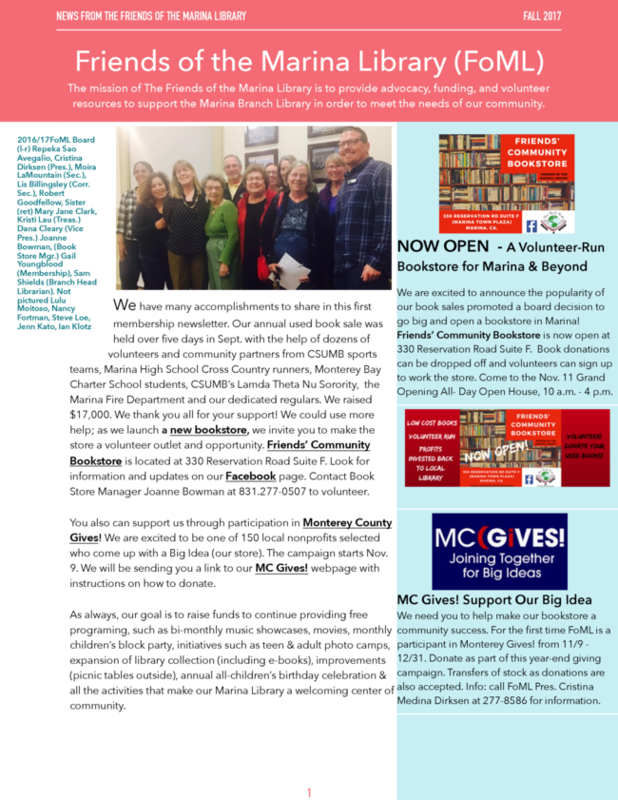 On behalf of the Board of the Friends of the Marina Library - great news to share! Our bookstore is now open in Marina, be our guest at the grand opening Sat. Nov. 11. Support our store in a fundraising campaign through Monterey County Gives! launching Nov. 9. Only with your support are we able to do all that we do to make our Marina Library a thriving place of community. Read about what your support makes possible in this Fall 2017 Newsletter. As always, join us by volunteering or donating books and other materials. Thank You!